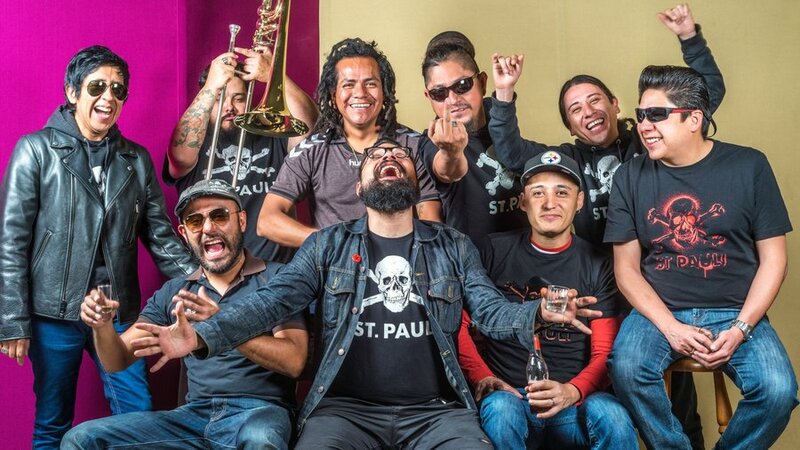 In Mexico, where they call home and play in front of tens of thousands of people, PANTEON ROCOCO is recognized and not just recognized the biggest and most important ska band, but are recognized rather as one of the biggest bands in the country, regardless of genre. 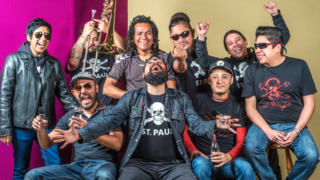 For over two decades, their high-octane ska – laced with heavy doses of punk, rock, salsa, cumbia and mestizo – has helped them take over not just their home, but has fuelled them around large swaths of Europe and North America, playing to festival-sized crowds wherever they go. 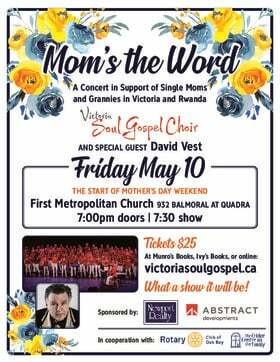 A 9-piece powerhouse, their bouncy, jumping rhythms are flanked by an expressive and piercing horn section, that is most assuredly going to get into your bloodstream. Fuelled by a deep passion for peace and great care for the world they play for, Panteon Rococo's songs are songs of love and often touch on their various political and social causes they hold dear. 2010 saw the band take the huge step of gong fully independent and creating their own record label to get their message out to fans directly. It's this intense DIY spirit and love for the music that keeps Panteon Rococo in the hearts and minds of ska-lovers around the globe.